As soon as I saw The Riri swimsuit in the June issue of the SewSewDef magazine I knew I would be making it. I already had Simplicity 1116 (a Mimi G for Simplicity pattern) on my To-Sew List for the summer but this one was pushed to the top of the list. 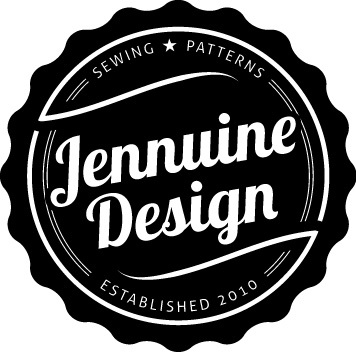 a multi-cultural sewing magazine that will feature sewing projects, articles, and inspiration for both women and men in the sewing community. Each issue contains two free pdf patterns downloads (one each-women’s and men’s). This pdf pattern is only 18 pages, because there’s not much to a swimsuit, minimizing the amount of taping and cutting some of us dislike about pdf patterns. The download also includes a print shop file if you prefer to have it print in large format. I’ve tried my hand at swimsuits before; a couple from a pattern and a self drafted one very similar to the RiRi (in my head anyway). I wore them but they were far from perfect. My biggest issue was the leg elastic, the hem was wavy every time. In my defense I made these attempts in my first year of sewing and sewing super stretchy fabrics and understanding negative ease was probably a bit too advanced for my skills. I have never had an issue sewing for knits, but swimwear knits are a bit of a different animal. I bought this fabric back during my first year of sewing, I believe it was a flat fold piece from Hancock (I miss them so much) which would make it about $4-5/yd and I bought the whole piece which was a few yards. Because of my past with “not-so-perfect” swimsuit projects I decided to use this fabric to make a wearable muslin instead of the leopard print swim fabric I purchased from LA Finch (see it here). Though now that it is all made up I quite like the fabric. Miss Socialite did too, as she now wants a tankini for herself. Thankfully the instructions are very clear from beginning to end and I was finally successful at sewing RTW worthy leg openings. YAY me! The instructions walk you through the garment construction as well as provide tips on sewing with knits, explain how to print and assemble pdf patterns, address sizing and gives fabric recommendations. I decided on a large bottom and medium cups based on my measurements and though this fits well, I believe next time I will cut large cups as I often suffer from side boobage. I originally thought the cups were not long enough but once I tied the halter tight enough the length seemed about right. I’m debating if I will add a “connector” between the cups to assure I don’t have a wardrobe malfunction to my future versions. I didn’t have any issues while I was shooting these photos, but I was only splashing around in the pool. Truthfully that’s all you should expect from a fashion swimsuit, it’s not exactly designed for swimming laps. Pattern Description: The perfect swimsuit for all body types. Riri is a low cut high waisted swimsuit with full lining. Pattern alterations or any design changes made: None, but I may add a front band to connect the cups next time. Would I sew it again? Yes, this was my wearable muslin. Conclusion: A great swim pattern with clear instructions. Have you sewn swimwear? Share a great pattern or a tip in the comments! You look fabulous! Love your suit. I like it….but all those pages. Could you make a similar swimsuit out of this: a pair and a spare diy convertible bodysuit? It seems so much easier. I’m not sure I’ll have to take a look at that pattern. 18 pages really wasn’t that bad though. You did a great job! It looks perfect on you!